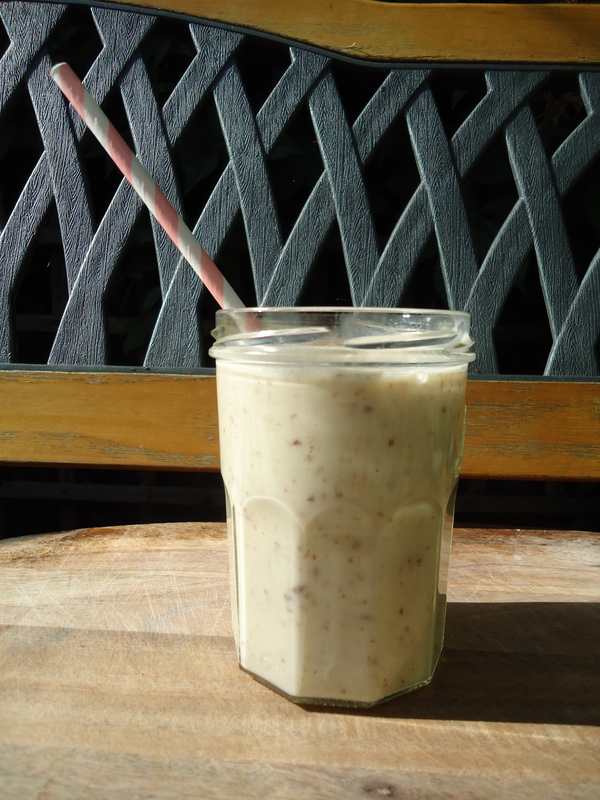 Banana Super Smoothie | Namaste to you, Sir! It’s fast, easy and super healthy! It can also satiate the biggest of appetites. Seriously. Packed with the goodness of almonds, banana and flaxseed, this smoothie can be tweaked to make it even more nutritious (and a bit sweeter) by adding some honey, dates or dessicated coconut. 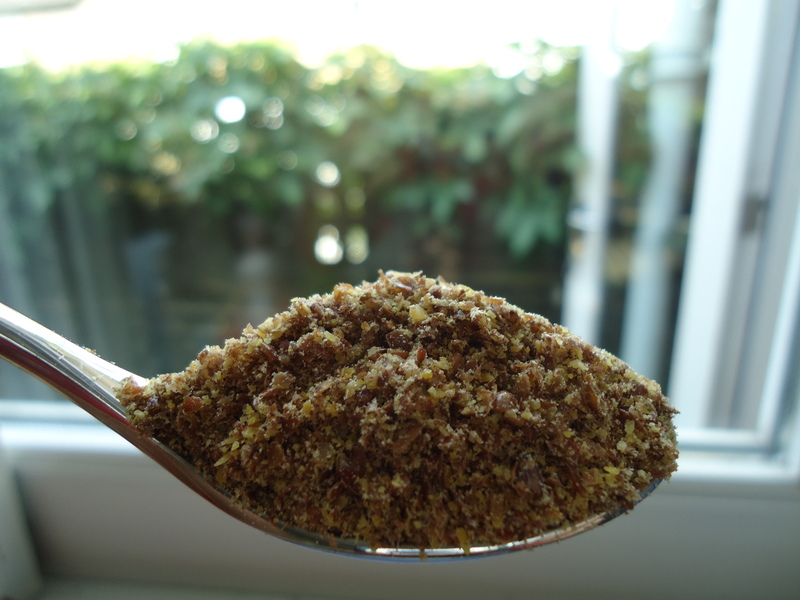 1 heaped teaspoon of milled flaxseed. What’s good about this smoothie? Well, I was starving yesterday afternoon and my body was craving sugar. I’m on those days of the month when you body wants sugary treats or a big bag of crisps, but I’m trying not to eat sugar at all, specially not if it comes along white flour, a bucketload of additives and dairy. So I decided to make do with what I had at home and because London has been enjoying this wonderful summery weather, with skies so blue and a Sun so warm, I went for a smoothie. I knew it was going to be tasty, what I didn’t expect was to feel so completely full afterwards! I’m usually like a bottomless pit when it comes to eating, but after this smoothie I felt like I couldn’t pass another morsel. The feeling lasted for a couple of hours too, so I’d say it’s a good alternative for those days in which you feel like eating your weight in chocolate but know you shouldn’t. Bananas are high in fibre, most of which is insoluble. This type of fibre pushes waste away as it goes along your digestive tract. They are also high in potassium, needed to help conduct electricity throughout your body and keep your heart beating and your muscles working; Vitamin C which keeps your immune system working and B Vitamins. Almond Milk has many vitamins and minerals necessary for the correct functioning of our body, amongst which are: Vitamin E, Magnesium, potassium, iron, zinc (for healthy nails and skin) and calcium (needed for strong bones and teeth). It is also low in calories so preparing the smoothie with almond milk rather than cow’s milk will help you cut down on your calories if you need to. Ah! Also it doesn’t taste of almonds! In case you never had it and are wondering. It tastes almost of nothing at all, so you can use it to make porridge, hot chocolate, bread, cakes etc. It works just like milk. Flax seeds are considered a Super Food: They are a natural source of Omega 3 an essential fatty acid which contributed to the maintenance of normal blood cholesterol levels. They are a source of Iron, important for normal oxygen transport in the body, helping the blood to carry oxygen to every cell. It also contributes to the normal formation of red blood cells and helps reduce tiredness and fatigue. 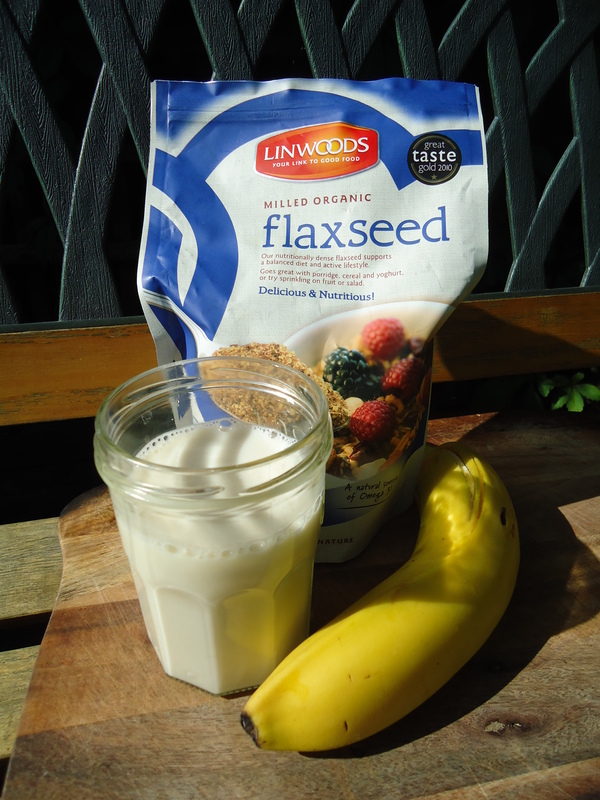 Good source of protein: Two heaped dessert spoonfuls (30g) of Milled Flaxseed provides 6.6g protein. Protein contributes to the growth and maintenance of muscle mass and the maintenance of normal bones. So, there you go! That’s why this Smoothie is such a powerhouse! 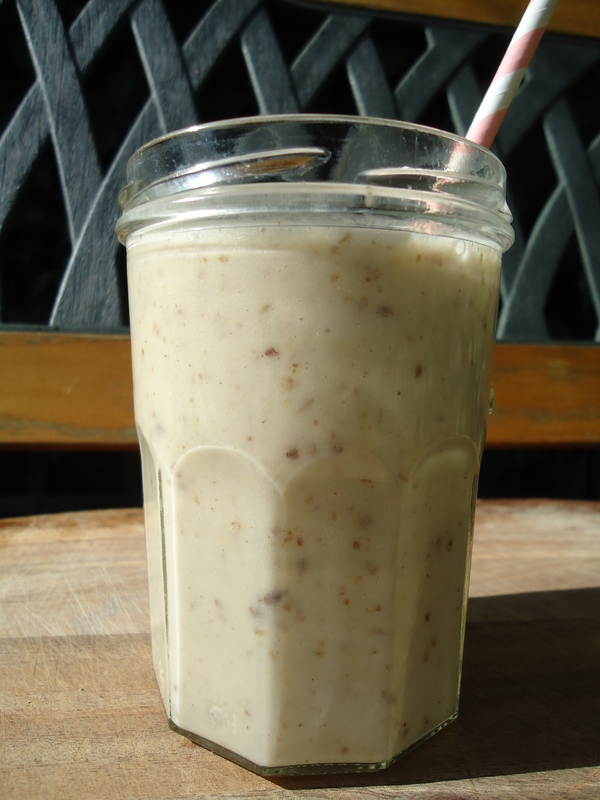 Pingback: Home-Made Almond Milk | Namaste to you Sir!